Reflect light, brighten up the room, give the illusion of having more space – these are the basic things a floor mirror can do. It can also be a decorative piece. In fact, floor mirrors are widely used in interior design as these contribute a lot to the overall look and feel of the room. Many use floor mirrors to modernize a home, for instance. With so many types, sizes, and designs of floor mirrors available in the market nowadays, there will surely be one that fits your interior design requirements. Add a tall floor mirror to one end of a narrow space such as a hallway or a corridor. Not only will it give an illusion of a wider and longer corridor, it will also brighten up the space, minimizing that cramped, claustrophobic feeling. In a hallway, position a floor mirror in such a way that it reflects a piece of artwork, lighting or any other decorative item. Make a room look bigger by adding a floor mirror that reflects light coming from a door or window. Another way is to position it to reflect artificial lighting. Either way, this will help create the illusion of more space. If the room is a bit narrow, try placing a wide floor mirror to make the space look wider. If the room has a low ceiling, add a tall, floor-to-ceiling mirror. This will add height to the space. 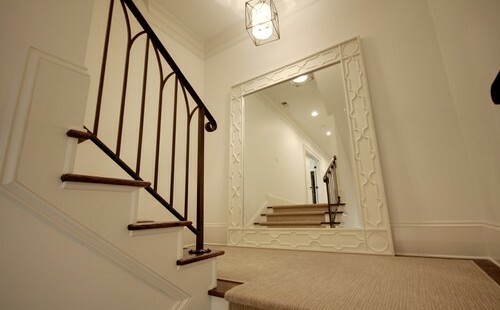 A staircase landing is another ideal location for a floor mirror. It will reflect the stairs and give a beautiful effect as it reflects the design of the room or space right next to the stairs. When it comes to the bedroom, avoid placing a floor mirror where it will reflect the bed. You can add one in your dressing room or walk-in closet. It will brighten up the space, and it is very useful for your daily personal grooming ritual. For floor mirrors that are large and/or heavy, it might be better to mount them to the wall to avoid any incidents. In some cases, however, a floor mirror is placed leaning on a wall, with a piece of home decor in front of it for a modern, elegant look. 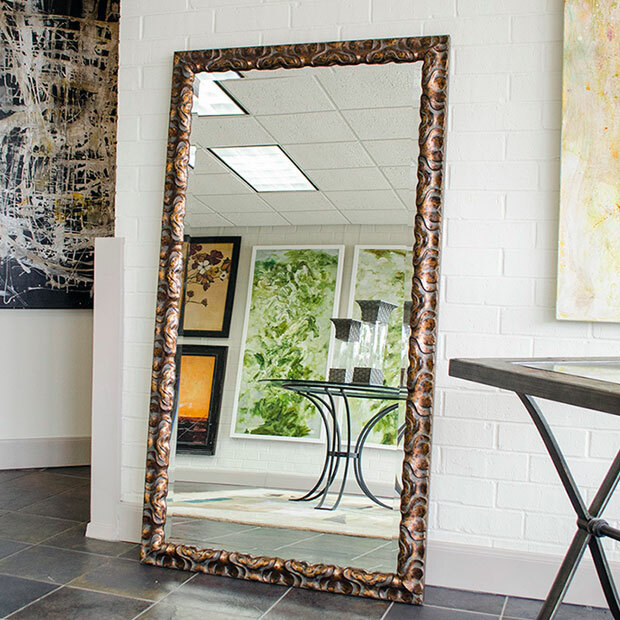 If you are going to use floor mirrors, or any other type of mirror for that matter, in interior design, it is important to take all the other home decor elements into consideration. Your floor mirror should have the style, color, and design that match the rest to ensure uniformity or a good design flow. Floor mirrors should enhance the design of the room and not focus on the problem areas, so make sure to take time in choosing the placement and even the style of the floor mirror. Keep these basic decorating ideas in mind as these can greatly help you in making floor mirrors work for you. 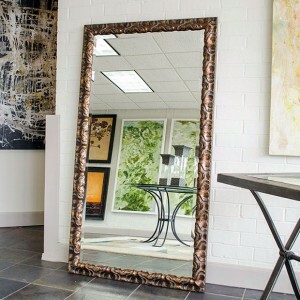 Check out MirrorLot for beautiful floor mirrors.